The interview is set to be released on Feb. 12. 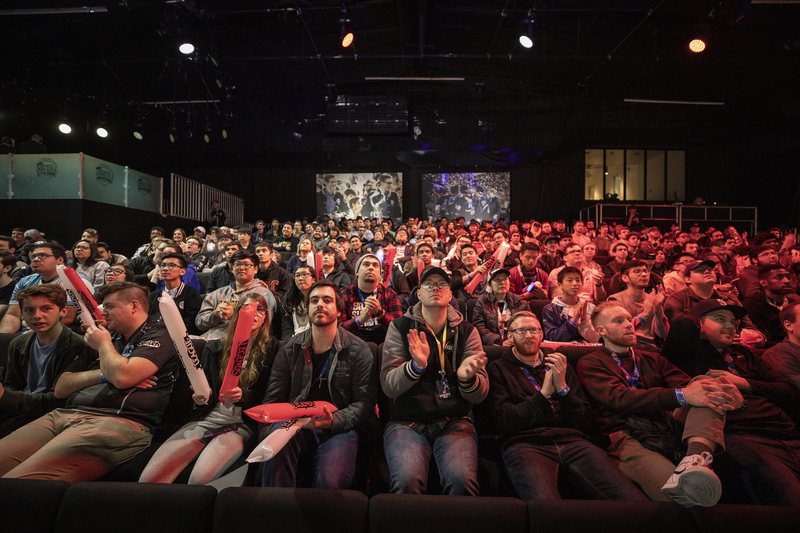 Three months after the suspension of COO Scott Gelb, Riot Games is set to provide its first on-camera response to the allegations of workplace misconduct initially reported by Kotaku. Recon, a new interview-focused series by Escapist Magazine, will premiere on Feb. 12 with host Viktor Lucas interviewing Ellie Pyle, the senior editor for Riot comics, about the harassment allegations. In anticipation of the upcoming series, Escapist released a teaser trailer featuring Lucas, an apprehensive Pyle, and a Riot PR representative responding to Pyle’s questions on what she can say. The interview takes place one month after Gelb’s suspension, Escapist revealed in the description. “Is there a question to this answer I can give that we can run?” Pyle asks the off-camera PR representative when asked about the company’s atmosphere and morale following the report. Throughout the teaser, Pyle is both hesitant and careful with her words since she will be the “first person with soundbytes” regarding the controversy. The initial nearly-8,000 word Kotaku report included anonymous testimonials of both current and former Riot employees surrounding sexual harassment and misogyny occurring within the company. “As part of our ongoing commitment to evolving our culture, we are thoroughly investigating all claims through our established process,” Riot said in a statement to ESPN following the Kotaku article. In addition to Riot Games, Recon will also have interviews with Ubisoft Toronto, Insomniac Games, and other unnamed companies, Escapist announced in the teaser’s description. Recon is set to debut on Feb. 12, with Pyle’s interview opening the series.